The Tamil magazine had published in its April issue, an article about the issue relating to alleged ‘luring’ of girl students by Aruppukottai college suspended assistant professor Nirmala Devi. 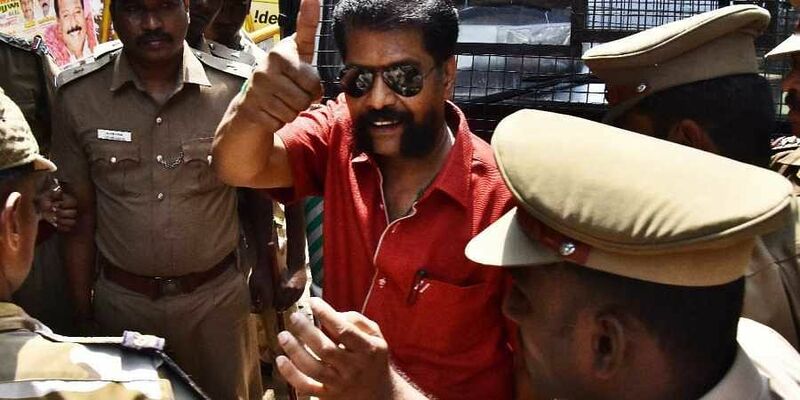 CHENNAI: The government advocate has told the Madras High Court that police will not arrest the employees of Nakkheeran magazine in connection with a complaint from the Governor’s office regarding an article. Recording the submission, Justice M Dhandapani adjourned the matter till October 25. Thirty-five employees, including the magazine journalists, whose names were found in the FIR registered by Zam Bazaar police, have moved the court seeking anticipatory bail. Magazine editor R R Gopal was arrested at the airport on October 9, based on a complaint from the Governor’s office. The Tamil magazine had published in its April issue, an article about the issue relating to alleged ‘luring’ of girl students by Aruppukottai college suspended assistant professor Nirmala Devi. She was arrested for allegedly persuading four girl students to offer sexual favours to top officials in Madurai Kamaraj University. Governor Banwarilal Purohit, who is also the Chancellor of the university, clarified that he had never met Nirmala Devi. Based on a complaint filed by Governor’s secretary, Zam Bazaar police registered a case against Gopal. He was booked under Section 124 (Assaulting President, Governor) IPC. However, when police produced him before a magistrate for remand, the court refused to send him to judicial custody under that provision. As the names of 35 other employees of the magazine were found in the FIR, they preferred the present application seeking advance bail.